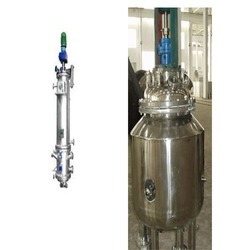 Prominent & Leading Manufacturer from Pune, we offer industrial evaporators, multi effect evaporators, rising film evaporators, forced circulation evaporators, pharmaceutical industries evaporator and agitated thin film evaporators. A falling film Industrial Evaporators is an industrial device to concentrate solution, especially with heat sensitive components. The evaporate is a special type of heat exchanger. Falling film evaporators mainly adapts in continuous evaporation and concentration under low temperature. High concentration of organic or chemical waste water. 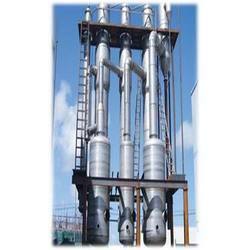 We are engaged in manufacturing of a comprehensive range of Multi Effect Evaporators. These are made by using quality raw material and latest technology and meet the required quality standards. The product goes under several quality tests under the supervision of the appointed quality auditors. 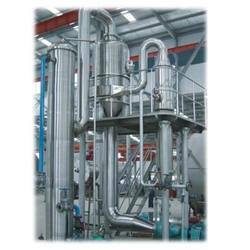 Offering a wide range of Rising Film Evaporators liquid feed enters from the bottom of steam heated tubes. The parallel movement of liquid and vapor along tube surface imparts effective water evaporation from the liquid feed. 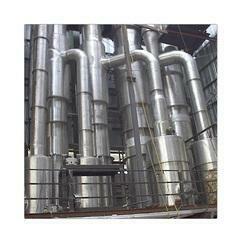 This type of evaporator is ideal for liquids which attain high viscosity or have fouling tendency. PMI provides a comprehensive range of Forced Circulation Evaporators, which is extensively used in textile industries, chemical industry pharmaceutical industry, tannery plants and other allied industries. Our range is widely used to concentrate the RO reject water to get the concentrated salts. 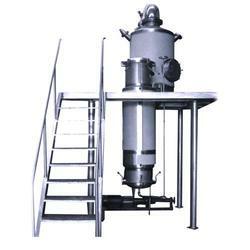 Offering a wide range of Evaporator for Pharmaceutical Industries. Our product are made by using quality raw material and latest technology and meet the required quality standards. 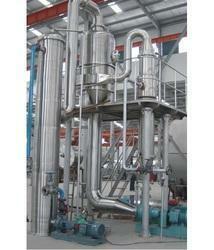 These evaporator is widely used to concentrate the RO reject water to get the concentrated salts. The Agitated Thin Film Evaporators is well suited for concentration of viscous and heat sensitive liquids such as gelatin, , fruit juices, and solvent mix etc. The thin film evaporator reduces fouling and liquid residence time in the evaporator. In the vertical agitated thin film evaporator feed liquid is feed at the top of evaporator and is uniformly distributed in the form of thin film by the wiper blades on vertical cylindrical heat transfer area, inside the unit. Evaporation of water / solvent takes place as the thin film moves down the heat transfer area. It is easy to operate the machine and adjust product indexes.